Fr. Gerald Carey, pastor of St. Paul’s Church at 10th and Christian Sts. in Philadelphia, will be offering Mass in the Extraordinary Form on the Feast Day of The Conversion of Saint Paul, January 25, 2009 at 3:00 P.M.
Father Carey, the former director of worship for the Archdiocese of Philadelphia, has arranged a Missa Cantata and is hoping there will be enough interest that he will be able to continue offering Mass in the Extraordinary Form at his parish. The choir will sing the Propers, Palestrina’s Missa Brevis, and various motets including Byrd’s Ave Verum Corpus and Durufle’s Ubi Caritas. I hope future EF Masses at St. Paul’s will be at a more “traditional” time than the 3:00 p.m. time slot on a Sunday. But I guess we should take what we can get. How much interest is required? I will do what I can to attend. I would love to see the TLM make its way to the suburbs of Philly. The following isn’t about Fr. Carey in particular. Rather, my post concerns the policy adopted by many parishes that “enough interest” must be displayed ensure that a parish continues to offer the TLM. 1. Each Latin Church parish should simply offer the TLM. 2. That parishes should offer the TLM even when parishoners do not request said Mass. Again, I’m not picking on Fr. Carey. I simply wonder as to how the “enough interest must be shown in the TLM to ensure its celebration” principle squares with Cardinal Castrillón’s above-mentioned remarks? 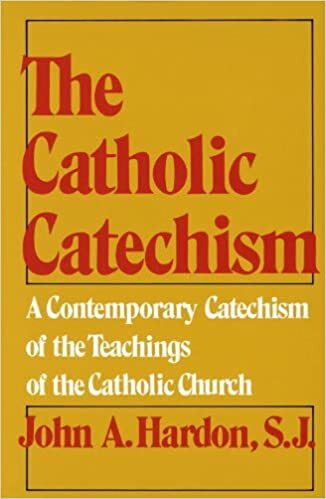 Also, consider the following: A great many Catholics have been all but programmed during the past 40 years to despise the TLM (not to mention the idea that Latin and Gregorian Chant also belong to the Novus Ordo Mass). It may take years for “enough” Catholics at a given parish to rediscover the TLM and liturgical tradition. Forty years ago, Traditional Catholics were attacked by a great many liberals and conservatives (yes, conservatives) who argued that the TLM had seen its time pass…that it was time to “come over” to the Novus Ordo. But Traditional Catholics did not accept the TLM-“enough interest must be shown” principle. By the way, relatively few Catholics avail themselves to the Sacrament of Confession. But that doesn’t prevent parishes from promoting confession week after week, year after year. Sorry, but I believe that the “enough interest” argument is unsound. Simply offer the TLM…week after week, year after year. The “enough interest” attitude is a relic of the quickly passing era of the “Let’s try it, and see if people like it” approach to liturgy. In the eyes of some, it is just another liturgical innovation. I’ll certainly try to go. This is wonderful news! I know Father Carey personally and he is a Priest of the very highest class. If Jesus arrived with his 12 Apostles would these priests consider that “enough” interest?